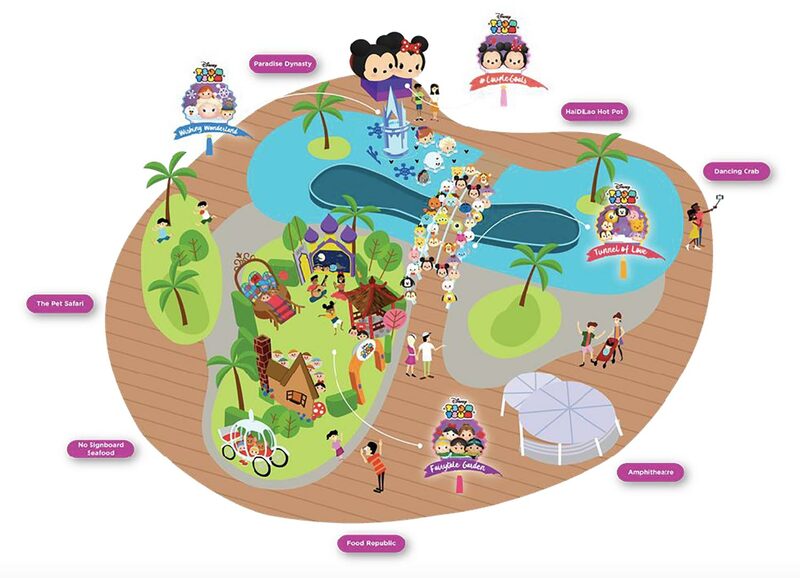 This Mid-Autumn, VivoCity and The Walt Disney Company Southeast Asia invites all Singaporeans to come together to celebrate the love of family and friends and a month long of Disney magic under the stars with their Disney Tsum Tsum Mid-Autumn Celebration of Love campaign. 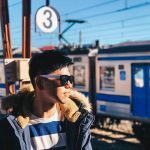 Held from 30 August to 30 September 2018 at VivoCity Sky Park Level 3, this Mid-Autumn celebration is a visual spectacle and a sight to behold, where over 2,000 Tsum Tsum themed lanterns will light up the night sky. 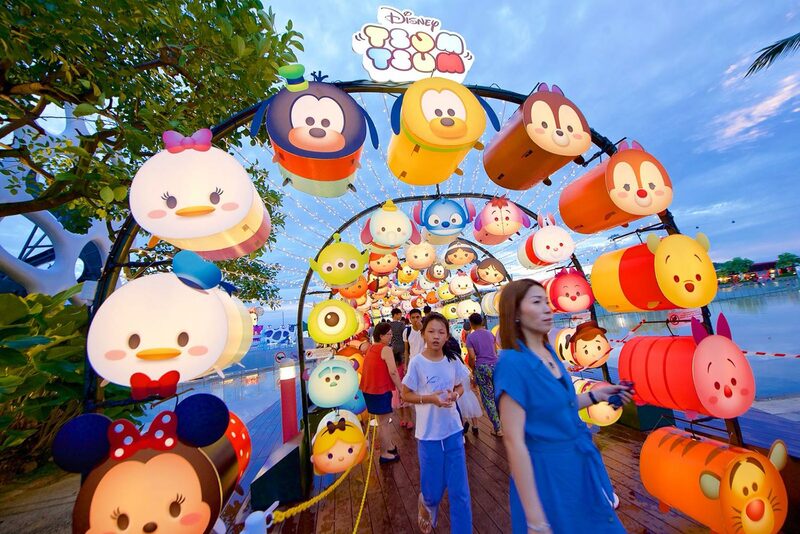 As one of Asia’s largest lantern installations, guests can expect nights of revelry and festivities with their favourite Disney and Disney-Pixar Tsum Tsum characters. 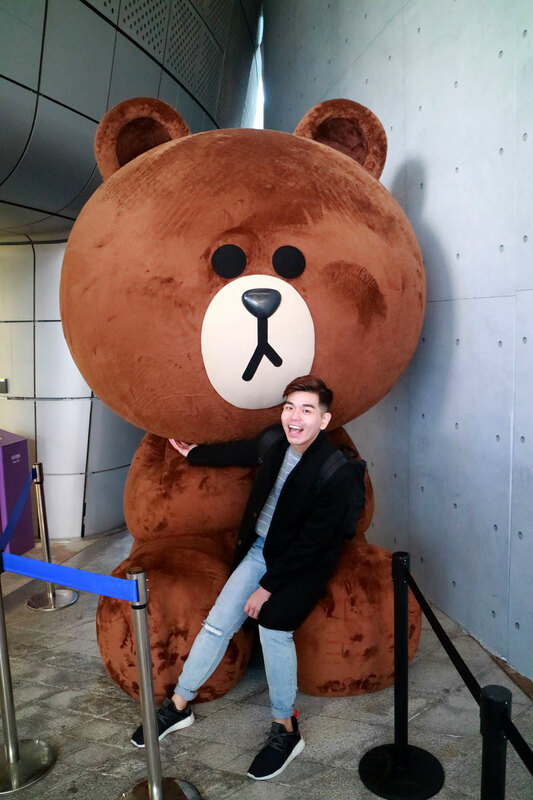 Derived from the Japanese term meaning “to stack”, Disney Tsum Tsum is best loved for its range of collectible stuffed toys and mobile game, and based upon the beloved characters from Disney. 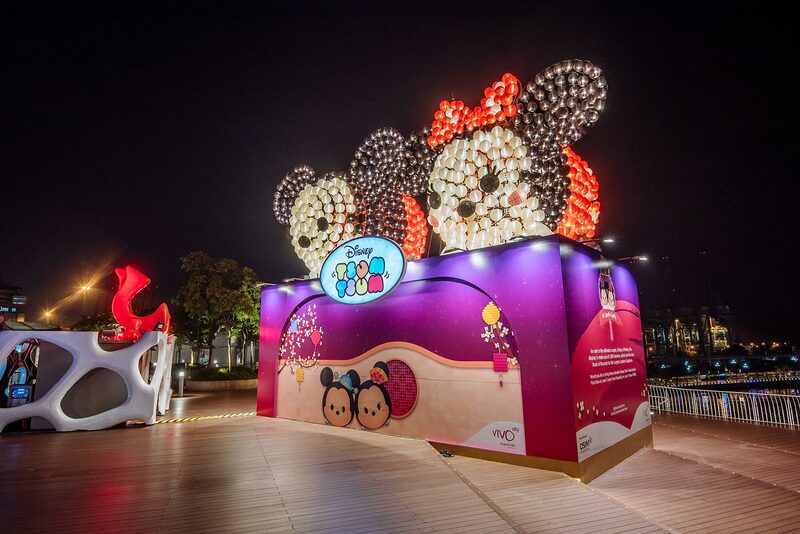 This Mid-Autumn event showcases Disney Tsum Tsum themed Mid-Autumn lantern installations in four different zones at the VivoCity Sky Park, conceptualised to reflect the different forms and expressions of love, such as couple love, family love and love between friends. Set in a magical and romantic garden, this area celebrates the love stories of five iconic Disney Princesses. Journey with Snow White on a whimsical set featuring the dwarfs and their cottage. Hop onto the magic carpet and fly to the Arabian city of Agrabah to meet with Jasmine, Aladdin and Genie. Relive the romantic scene where Belle and Beast shared their first dance. Ride the Pumpkin Coach made for Cinderella by her Fairy Godmother. See Mulan in her Chinese pavilion and find her friends Li Shang and Mushu. 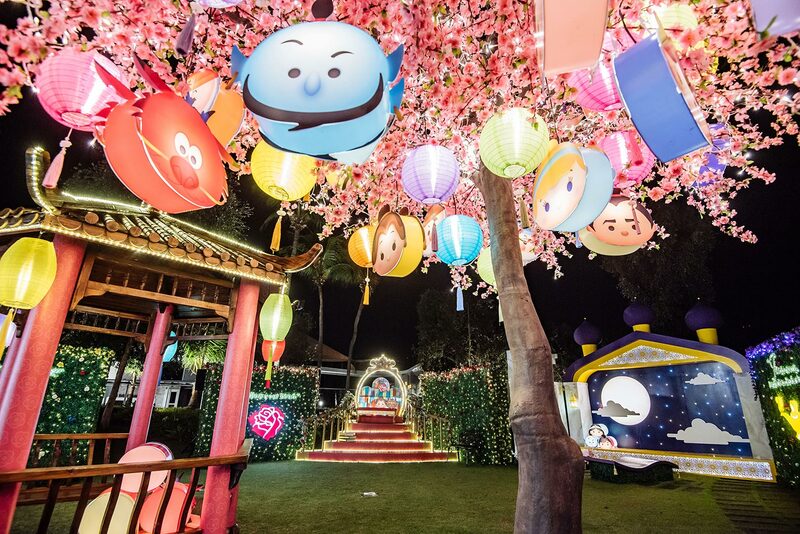 Stretching 40m long, the Tunnel of Love features Disney Tsum Tsum lanterns of over 30 different Disney and Pixar characters, many of whom have had iconic friendships that have lasted through the ages. 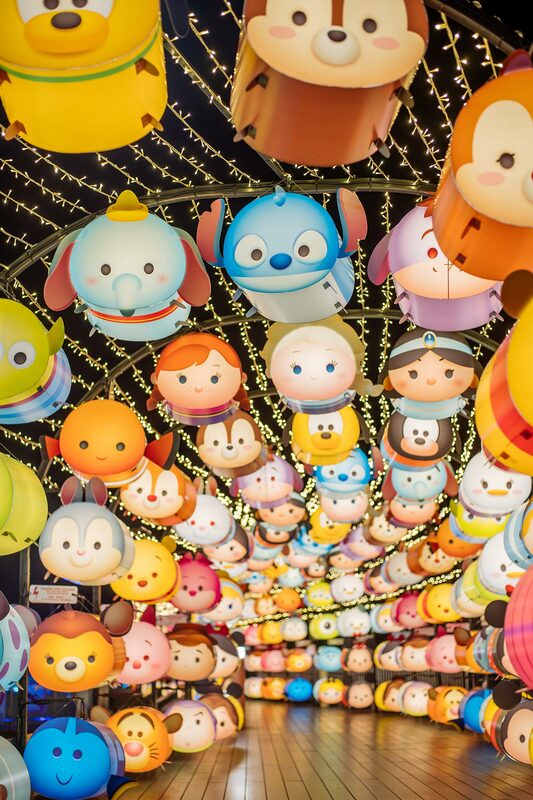 Walk through this beautiful lit tunnel of stacked Disney and Disney-Pixar Tsum Tsum lanterns and spot your favorite best pals like Mickey Mouse and Donald Duck, Winnie the Pooh and Tigger, Buzz and Woody, Nemo and Dory and Mike and Sully. Perched over the water, this area showcases the Ice Palace and the beloved sisters from Disney’s Frozen, Anna and Elsa as well their friends Sven and Olaf. 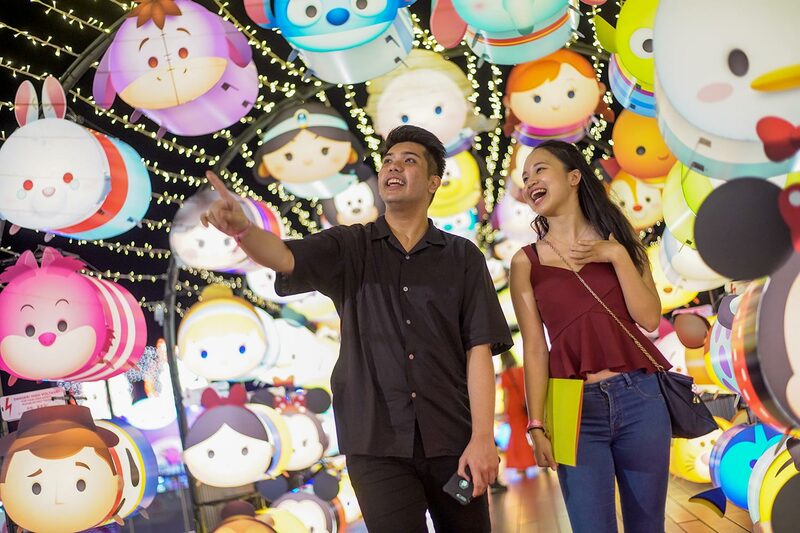 Celebrate the magic of family and release a Mid-Autumn Disney Tsum Tsum themed floating lantern wish in our Disney’s Frozen themed wonderland. To pen down your wishes, simply head to TANGS Customer Service Counter at Level 1 and purchase a wishing card at $2. 100% of the gross proceeds will be donated to Children’s Cancer Foundation. 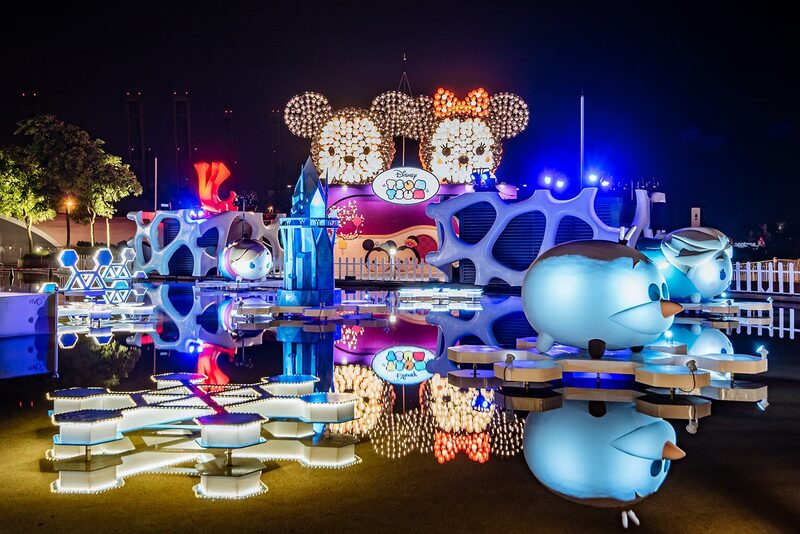 10m tall and made out of 1500 lanterns, this larger-than-life centerpiece is an ode to the most loved Disney couple Mickey Mouse and Minnie Mouse. Celebrating their 90th anniversary this year, this is truly a love for the ages. This installation holds a new record in Asia Book of Records as the Largest Lantern Sculpture. 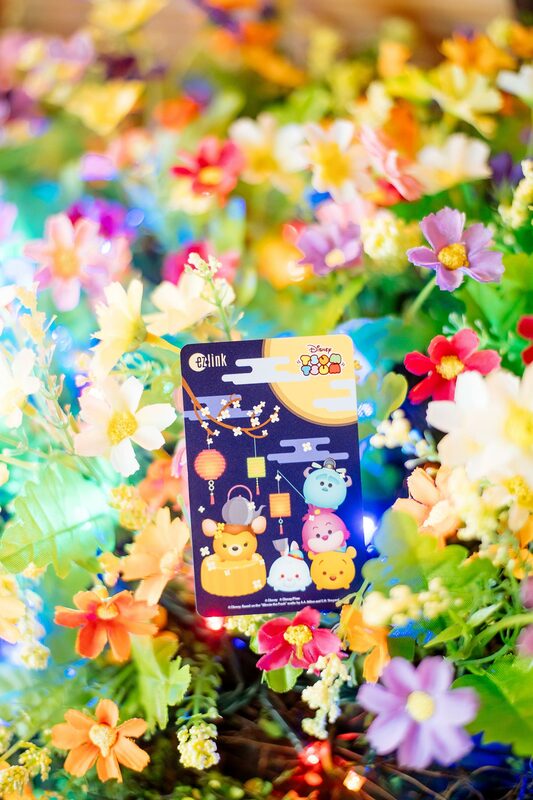 Shoppers can look forward to the launch of limited-edition Disney Tsum Tsum Mid-Autumn-themed ez-link cards, redeemable with a minimum purchase of $250* in the mall. VivoCity will launch a different design each week with a total of four to complete the collection. For those who are too excited to wait, the first 200 shoppers who spend a minimum of $800* will receive a special commemorative set comprising all 4 card designs. *Terms and conditions apply.